Are you thinking of selling your property? Are you wondering if it’s too late in the year? If the answer is yes, then this blog might help answer why now is a good time to put your property on the market! 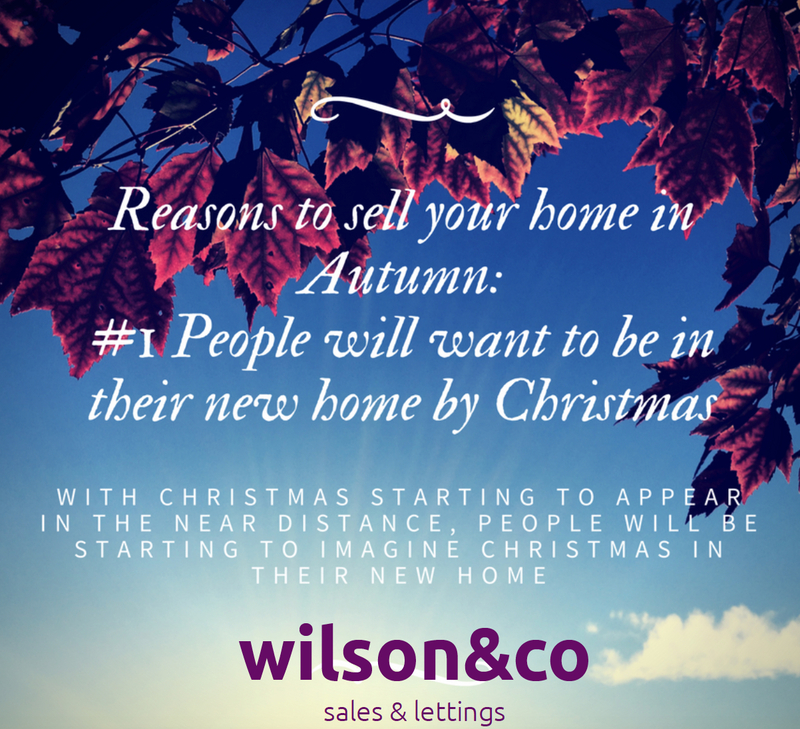 With Christmas starting to appear in the near distance, people will be starting to imagine Christmas in their new home. With the family sitting around the table, who is going to be carving the turkey and where will their new Christmas tree fit perfectly? This will make them keen to push the sale process through quickly. Most parents will relate to their calendar year running September to September and fitting any important events around term times, the school run and school holidays. With a New Year many people like the idea of new beginnings, which may mean a new home in some cases. They also have less pressure of viewing homes with kids in tow, making viewings less stressful and more relaxing, allowing them the chance to really take in your home. You can light fires, switch lamps on and style your home with accessories to complement the season: russet apples in bowls, candles and reed diffusers with hints of cinnamon and spice. You can add hues of autumnal colours to your bed linen, throws and cushions to create warmth and depth within a room. With the leaves starting to drop it can allow views to improve but with this in mind you must remember to keep on top of your lawns and make sure your garden is free of leaves and branches. You can remove any unsightly dead plants and replace them with beautiful autumnal flowering plants like Michaelmas Daisy and Goldsturm Coneflowers, so that your home looks attractive from the first moment your viewers see it. With night’s drawing in, Autumn is a perfect time to showcase your property by using twilight photography. Imagine how beautiful your home will look on any brochure with the lights twinkling and a darkening sky behind? You can even showcase local areas, woods and hillsides can look beautiful with crisp browning leaves contrasting against lush green grass. Trying to decide whether to sell now or in the new year? Ask us, our advice costs nothing!